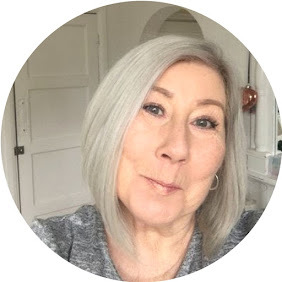 now it's no secret to any of you that I am a huge fan of Collagen supplements, I really do believe that looking after yourself is not just a case of throwing on skin care products and hoping for the best. also when we think of skin care and boosting collagen we automatically think of the face, my personal experience with collagen supplements has gone much further than the increased benefits to my facial skin and \I have noticed improvements in lots of other areas. When you are younger it is easy to ignore the skin on your body and just give your legs a quick moisturise after shaving, but it's only as the clock ticks forward do you begin to notice things like the skin on your inner arms and the skin on your tummy not being as taught as it was, of course we are not going to look like 20 year olds imagine stretching and old knicker elastic for years and expecting it to ping back ! not happening, but with the use of collagen you can give it a little help, and I can with my hand on heart say that I have seen some improvement in these areas. I am not going to go into the whole science of collagen, you could easily google it or read my previous posts. 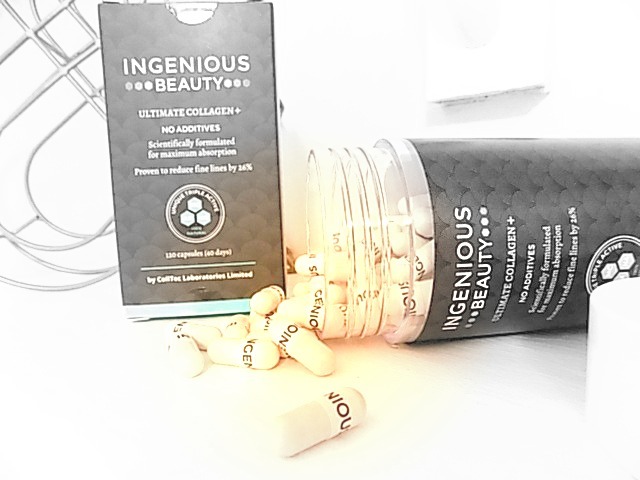 Ingenious Beauty Ultimate Collagen + really is a super easy way of ensuring you get your daily dose of inner beautification, 10 years in the making these little pills contain the highest quality marine collagen peptide, astaxanthin and pure natural hyaloronic acid, which can absorb up to 1000 times its own weight in water which leads to an increase in hydration and firming of the skin. It is instructed that you take 3 capsules before bed as the pills are more readily absorbed when the body is sleeping, we enter alpha sleep mode within 45 - 90 minutes of sleeping, this is called ( the rejuvenation mode ) and is the perfect time for the supplements to work. Another of the benefits I have noticed while taking these supplements is increased nail growth and condition, I have also heard from other people that have uses this brand is that they have noticed and increase in hair growth, I have my hair cut so often it is impossible for me to confirm this, but if my nails are anything to go by I have no reason to disbelieve it. Have you tried Beauty Supplements ? would love to hear your thoughts. Contains Brand/PR samples unless otherwise stated.